From the Co-organizers, Core-team members to Volunteers, everyone at TEDxDhaka team is an unpaid volunteer. This group of individuals spend hundreds of hours to plan and organise the conferences just out of passion and love for TEDx with the mission of ‘Ideas worth spreading..”. The whole team is divided into three overlapping layers, first the co-organisers, followed by an extended core-team members who are often assigned to independent departments to take lead with the capacity of decision making similar to co-organisers. The last (but absolutely not the least) layer is the bunch of volunteers recruited every year from an open application and selection process. Some of them come back to work for TEDxDhaka every year and take up more responsibility gradually. They often take up huge amount of invisible, thankless works. Each of the name bellow deserves a salute. 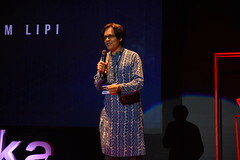 Mohammad Tauheed is a TED Senior Fellow, an architect, web and graphic designer and technology consultant. He is the Founder, Editor-in-Chief at ArchSociety. 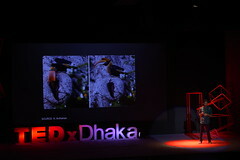 Currently, he also works for TED’s New York office as a part-time Consultant, remotely from Dhaka. And he is the Academic Coordinator at Bengal Institute for Architecture, Landscapes and Settlements. His experience of attending eight TED Conferences in Long Beach, Oxford, Edinburgh, Whistler and other places as a Fellow and Senior Fellow since 2009 makes him the biggest first-hand knowledge-hub in town about ‘how TED does it?!’. 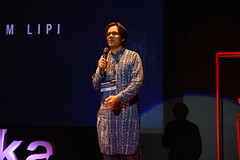 He is also the Founding Curator of World Economic Forum’s Global Shapers Dhaka Hub. Salman is very active in the Dhaka scene. It is difficult to find a person he doesn’t know or an organization he hasn’t worked with! He is an amazingly resourceful person, a TED fanatic and always has a lame joke ready whenever things get serious. He is currently the Head of Sales and Marketing at Green and Red Technologies Limited in Dhaka. Salman is currently the Curator of World Economic Forum’s Global Shapers Dhaka Hub. Atif is our technologically inclined, organizationally savvy “go-to” guy. If we hit a wall, he knows how to get around it not just one, but many ways. He loves technology and figuring out ways it can enhance our daily lives. He also organizes the Creative Meetup group, a monthly event that gathers some of the most creative individuals in town. He is currently a Director at Portonics Limited. Nawshin Khair is a charismatic creative designer and a social entrepreneur, cultural connector, an activist and mother of three. Nawshin is a Director of Bengal Group Limited’s various initiatives. She headed operations for Bengal Music, a record label from 2007 till 2009. Since 2009 till present she heads the operations of the ICE Media ltd publication wing, which publishes eight monthly magazine such as ICE Today and ICE Business Times .Since 2011 she is the managing director of Bengal Art Lounge a prominent art gallery in Dhaka city and have curated many successful exhibitions. All this while Nawshin was pursuing her passion for fashion design through her own label Paera. She is now moved on to becoming the creative director for a local fairtrade brand Aranya, which focuses on revival and conservation of natural dye, local handloom and handicrafts of Bangladesh. Nawshin is the country coordinator and member of the global advisory board for Fashion Revolution and founder of the initiative Trace My Fashion. She is one of the trustees for Bengal Foundation . 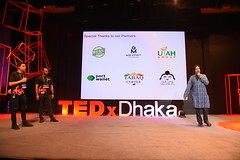 Recently Nawshin has joined the core organizing team of TEDxDhaka. The super energetic and enthusiast dreamer of the team who takes up any work with a smile and running the extra mile by himself. He is a business graduate from United International University. He is also the Curator and Licensee at TEDxUIU. 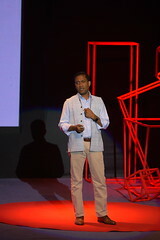 Ishraq is an architect, specialised in architectural theory and history. She graduated from BRAC University and did her post grad from AA School of Architecture in London. Currently she teaches at the Department of Architecture at North South University. 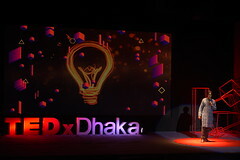 She often takes lead on the design of the whole TEDxDhaka on-site operations. 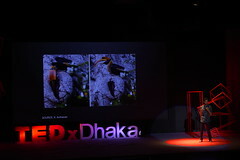 Saif Kamal is the Founder of Toru– the idea tree. The first independent innovation lab in Bangladesh. They facilitate the transformation of innovations to social enterprises and aim to create an innovation culture and a marketplace for the thinkers of the nation. Saif Kamal was the curator of Global Shapers Dhaka Hub and an active member of the global network of Shapers. Nashra is a lawyer and writer, specialised in Intellectual Property Laws, graduated from BRAC University and University of Edinburgh, Scotland. 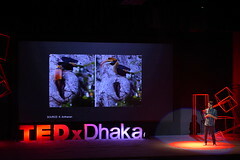 She works in different overlapping roles with TEDxDhaka, specially with the Speakers Support Team. 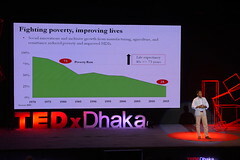 Ruzan Sarwar is the Country Representative of iCare Benefits in Bangladesh, a social enterprise focused on increasing access to goods and services for underserved populations. She has an MA in Conflict Resolution from Georgetown University and a BA in Political Science from Stony Brook University. Ruzan is a professional wanderluster who needs to explore new surroundings and travel as much as humanly possible. She also loves coffee, dresses, and puppies. Ruzan constantly looks to broaden her horizons and push boundaries (kind of like choosing to volunteer for the TEDx Dhaka team! ), so she’s super excited about being part of the team. Our logistics magician who never says no to anything. 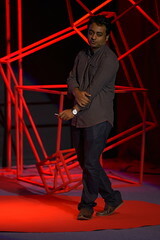 Be it a tiny thing to a big stuff Anis is the man behind TEDxDhaka’s logistics operations. He is a student at North South University, he is also a Co-founder at the tech startup WebAble. Sumaiya studies Economics at BRAC University and actively participating and working with numerous voluntary organisations. Currently she’s working as the Communications Officer at Bangladesh Youth Leadership Center (BYLC). 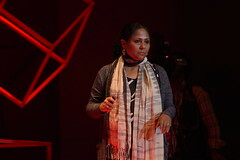 Sumaiya manages the hospitality of international speakers and guests at TEDxDhaka. The programmer and technology genius who runs the whole computer and projection systems of TEDxDhaka behind the stage. Rakib is also the key person behind some of our other tech stuff, he is not afraid of saying “lets make an app for that…” when we face a trouble. Rakib is currently Data Cruncher at G&R Ad Network specializing in backend technologies and BigData analytics. He has worked as mobile and web app developer for various startups prior to his current role. Rakib has completed several courses from the MOOC community on topics related to web and mobile technologies and he actively encourages everyone to take out of the MOOC platforms in their respective fields. On weekends, Rakib is a youth mentor at Nurturing Roots – a weekend lounge which facilitates various community activities and non-academic learning circles among the youngsters. Business student at the United International University, she also co-organises TEDxUIU. Ramita helps us with speakers support team. Ovick is digital media entrepreneur who loves to build awesome teams, create uncompromising culture of excellence and solve problems. He is the co-founder of WebAble and is interested about social media, content marketing and social selling. Ovick is a Man Utd and Pink Floyd fan who likes to travel. We are yet to update the list of volunteers for TEDxDhaka 2016.